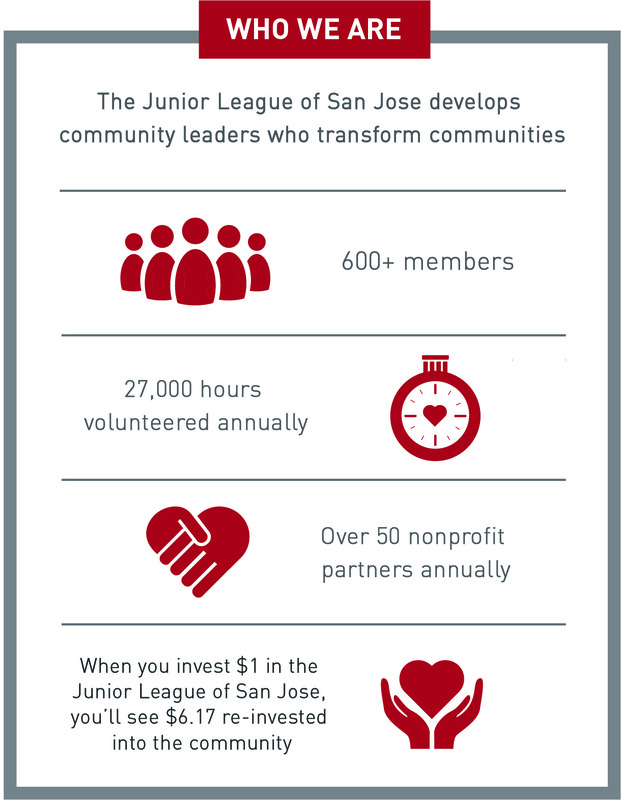 What is The Junior League of San Jose Endowment Fund? The Endowment Fund was established as a separate fund for the benefit of the Junior League of San Jose with the purpose of providing a perpetual source of funds. A gift to the Endowment Fund becomes a permanent investment and the income is used to fund the League’s community programs. The purpose of the Endowment Fund is to strengthen and provide long-term financial stability to the Mission and Community Programs of the Junior League of San Jose. The League’s community programs include: community projects, community grants, co-sponsorship/ collaborations, Emergency Response Fund, Done-In-A Day, task force(s) and SPAC. These and other similar activities as determined by the League Board of Directors to support the League’s charitable and educational purposes of promoting voluntarism and improving the community through the effective action and leadership of trained volunteers. Our Community Program statement is as follows: The Junior League of San Jose works to help young children enter elementary school ready to learn and thrive. Nutrition and health; Kindergarten readiness and Third Grade reading level; and Literacy and early parent education are our three impact areas. The Junior League of San Jose Endowment Fund was established in 1992 when a gift of $25,000 was given from the League’s General Fund in celebration of our 25th Anniversary. Our Fund has continued to grow and is now over $1.5M. With your support, we will grow the Fund to $2.5 Million in the next 3 years. What are the benefits of being a donor to the JLSJ Endowment Fund? The Fund offers a range of diverse donation options to satisfy the needs of contributors who wish to support the Junior League of San Jose and their community for their lifetimes and beyond. Cash, check or credit card contributions. Contributions to honor and celebrate a loved one, celebrate a birthday, wedding, anniversary, graduation or birth of a child. The Endowment Fund provides active League members, Sustainers, South Bay residents, corporations and foundations with a convenient way to contribute to the Junior League of San Jose year-round, whether or not they choose to participate in other League fundraising events. Contributions may be tax-deductible in whole or in part. Be sure to check with your legal and/or tax advisor for specific details that apply to you and your donations. The League shall hold in strict confidence all information regarding donors and prospective donors. Information regarding the donor’s identity, amount, and description of the gift, and special conditions governing the use of the gift shall not be made public without the donor’s consent. Endowment Fund donors who provide consent will be listed in a special section of our on-line or printed magazine theFlair. This is typically done at the end of the League year. Donors will also receive an acknowledgement letter in the mail. How are your donated dollars spent? The Endowment Fund enables us to turn each dollar into many dollars. Your contribution becomes principal that is invested to create income. Each year the JLSJ Investment Oversight Committee meets to determine a prudent distribution amount as specified in the JLSJ Endowment /LDF Operational Policy. This annual distribution is used to support the Junior League of San Jose’s Community Programs. The Endowment Fund’s annual distribution ensures a yearly investment in the community and increases our opportunity for greater impact. A strong Endowment Fund enables our League to increase our annual distribution amount to help support our Community Programs and signature projects which encourage our members to tackle tough issues and address under-funded areas of need. 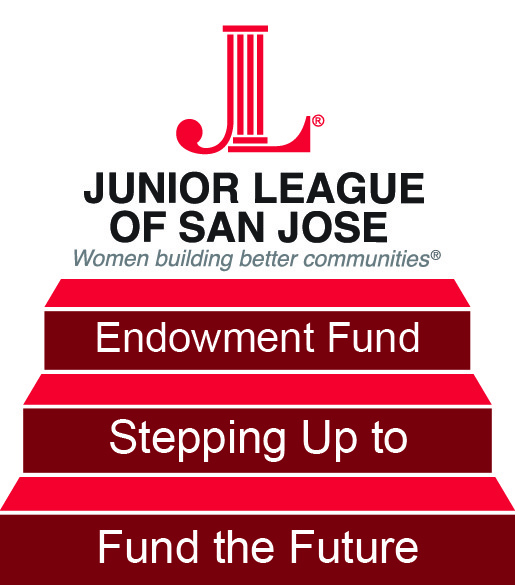 Please direct any questions to any member of the JLSJ Endowment Fund Advisory Board or contact the Junior League of San Jose office manager at jlsj@jlsj.org. We are happy to help. Contributions to the Endowment Fund can be made online by visiting our Donation page to begin or by sending a donation to the JLSJ Office. Please indicate that your donation is specifically for the Endowment Fund. THANK YOU for your GENEROUS SUPPORT and for STEPPING UP to make a difference now and for the FUTURE!